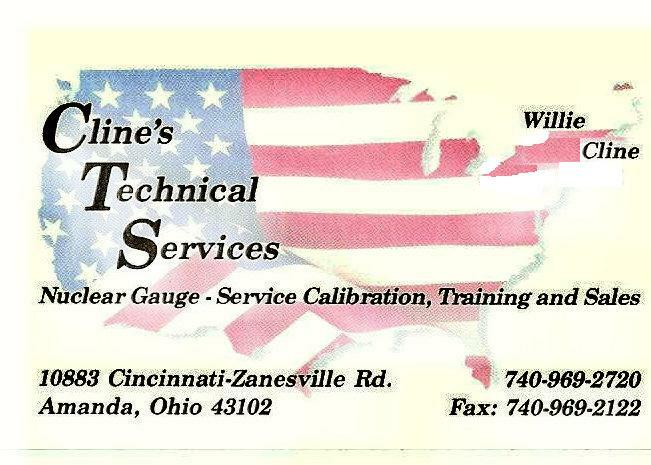 Offering over 36 years of experience in Nuclear Density / Moisture gauge service. Our Goal is to offer the Best Service available at the lowest price possible. We specialize in the service and calibrations of most models of CPN International / InstroTek Inc., Troxler Electronic Laboratory, & Humboldt Scientific Inc. density / moisture gauges. * Sales of Used Nuclear Gauges as available. 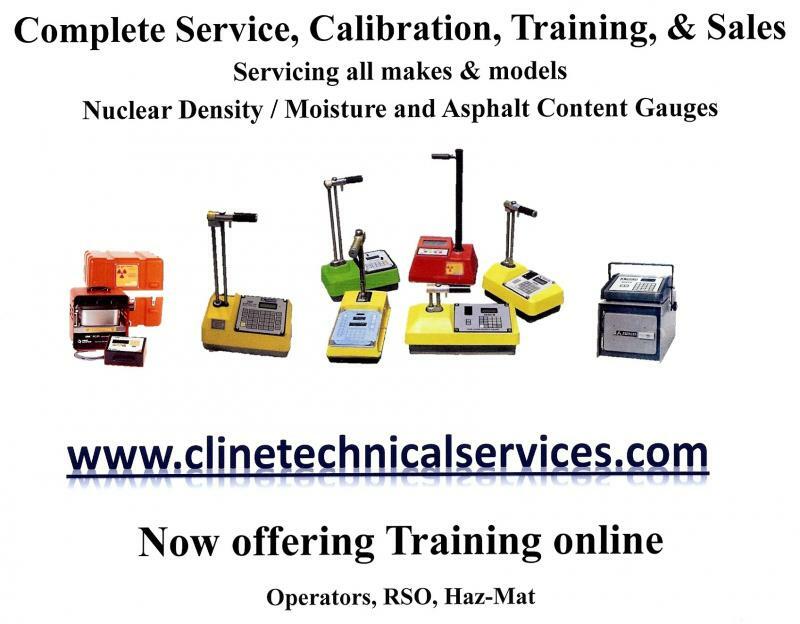 * Training for gauge Operators as required by Federal and State Regulatory agencies, to include “Haz-Mat training per 49 CFR, 172, Subpart, H"
* A three point density & two point moisture calibration, traceable to NIST. * Help filling out shipping documents if needed. * Help with Materials License application. Special, will enclude any online Training CTS, Inc. has in use in 2017. As a note: We only replace parts if necessary. has informed CTS, Inc. that they would NOT suport the Scaler Electronics for the CPN MC1 , DR, DRP, & MC3 gauges. To trade in gauges for the NEW MC Elite gauges. Get this training now online. Copyright 2009 Cline's Technical Services, Inc.. All rights reserved.